All the products featured on this page are available from stock with delivery in 2-5 working days. With the exception of the recessed concrete posts, delivery/collection 5-10 working days. Available in a 6ft, 2.4m(8ft) and 3m(10ft) lengths. Available in 2.4m(8ft) and 3m(10ft) lengths. Available in a 2.4m(8ft) or 3m(10ft) length. 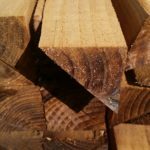 Here at Oakdale we have everything you could need for timber fencing. Our post and rail and feather edge fencing supplies are amongst the most comprehensive you will find. 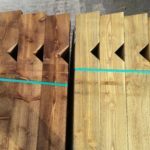 Whether you are repairing an existing fence or erecting a new fence from scratch you will find we have all the materials in all the height variations you need. We have extensive experience at erecting agricultural post and rail fencing for the highways agency so when it comes to high quality post and rail we know our stuff. For traditional post and rail you’ll need to concentrate on buying 38x88mm rails and 125mm x 75mm posts. Allow one fence posts per 1.8m of fence and three rails for every running 3.6m of fence. You can add stock proof netting to the lower part of the fence if you need to stop animals straying, and barb to the top. 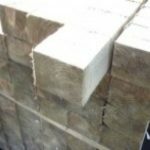 If your looking for paddock post and rail for horses we have a wide selection of round fence posts and half round rails that are ideally suited to the circumstances. As with other types of post and rail you’ll need posts at 6ft centres and three rails per 3.6m. 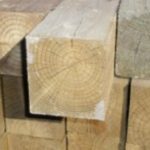 With our round fence posts you can opt to ram the posts into the ground or concrete the posts into position. We have a range of feather edge fence panels here if you want to make life simple, but if you want a traditional feather edge fence we have all the boards, rails, posts and gravel boards you might need. 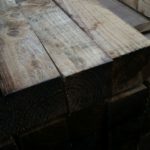 Posts are usually set at 2.4m intervals depending on the strength of fence you need. For posts you can either opt for a recessed concrete fence post, a tanalised timber post or a concrete godfather with a timber post bolted to it. When it comes to rails you have three choices, you can opt for a flat rail, a cant rail or a arris rail. 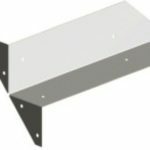 Flat rails and cant rails are heavier duty and can be bolted to concrete posts with carriage bolts or nailed onto timber posts. 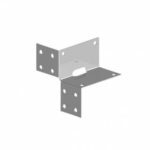 Arris rails require more work, to attach to concrete posts you will have to notch the ends of the arris rail and drill rails to use coach bolt fixings. 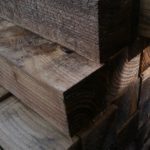 If you want to use timber posts with arris rails you’ll need posts notched to suit the profile of the rail. 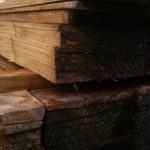 Feather edge boards come in a variety of lengths to suit different height choices. Allow ten boards per running metre. Don’t forget to allow for gravel board height when choosing your boards. Gravel boards can either be timber or concrete with a feather edge fence. If you are using concrete posts a timber barge board can be bolted to the concrete post with carriage bolts. Concrete posts have holes already in place but the timber board will require drilling. Concrete gravel boards can be used with timber or concrete posts. If you are using a concrete gravel board with a timber post you’ll need gravel board brackets to mount the board. 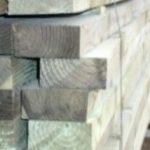 Sometimes it can be difficult to know what you need for a given run of fence, if you need to discuss your requirements before ordering give us a call and we can help you get the right items for your fence line.